When you get four toddler mom's sans toddlers out for a four day trip in Napa - rain or shine - it's going to be done right. 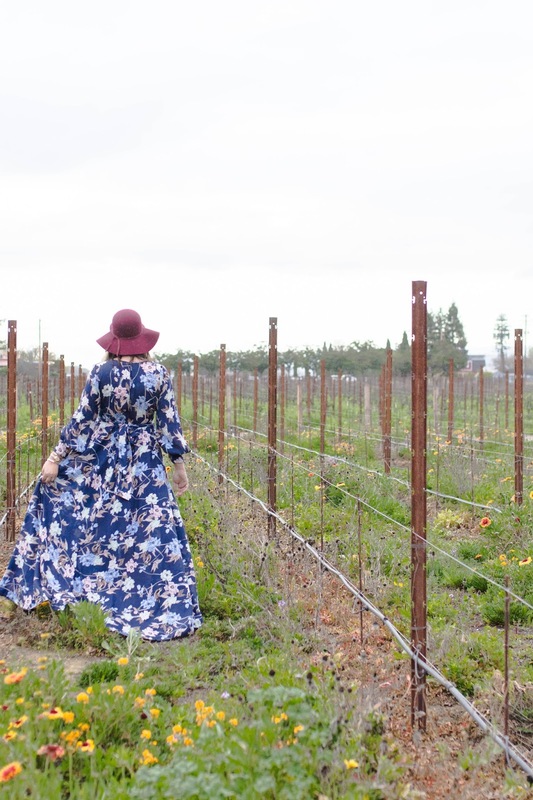 We wined, dined and danced our way through a city that many people wish to visit and as Caitlyn and Steph were in awe of all the lush rolling hills and acres upon acres of vineyards it also reminded me of how lucky Natasha and I are to live so close by. We left no wine or pastry behind and I am fairly certain our literal romp through the vineyards will be a lasting (and wet) memory. 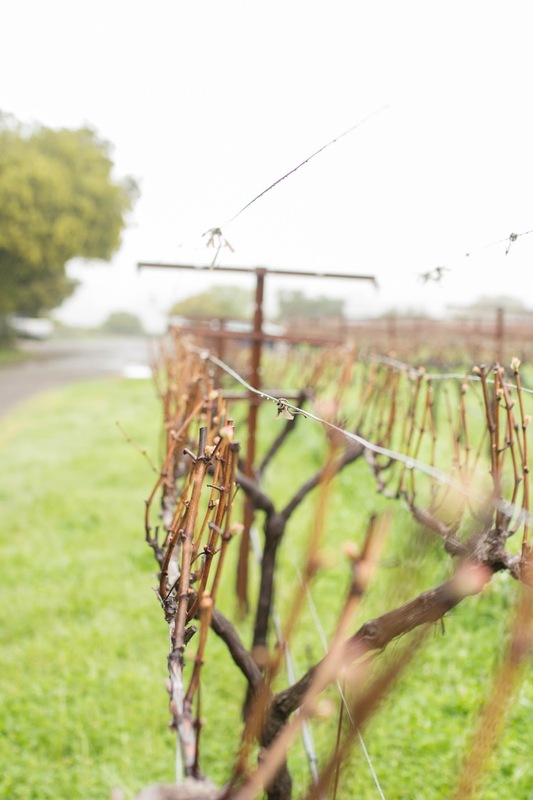 We had the luxury of staying at SENZA hotel which is located just off highway 29 perfectly centered between St. Helena & Yountville wineries and downtown Napa. Senza's accommodations are modern, well thought out and the views cannot be beat. 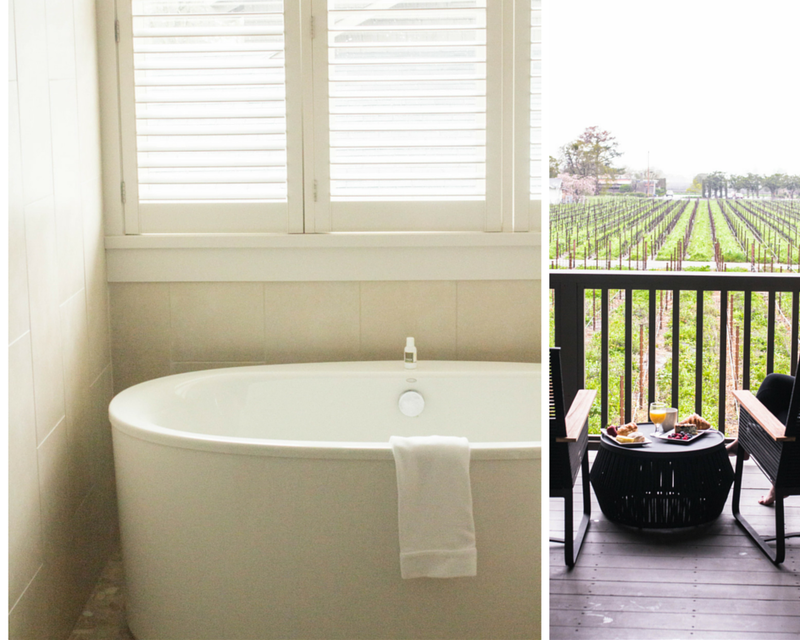 We stayed in a vineyard suite that housed two king size beds, remote control fireplace and a large bathroom with plenty of counter top real estate. Steph and Cait were below us and could literally step into the vineyard. The property boasts so many more amenities like poolside cabanas, spa services and artwork around every corner. An easy favorite was the complimentary breakfast available to guests each morning and the complimentary wine & cheese hour provided each evening. You can guess it - we never missed one. 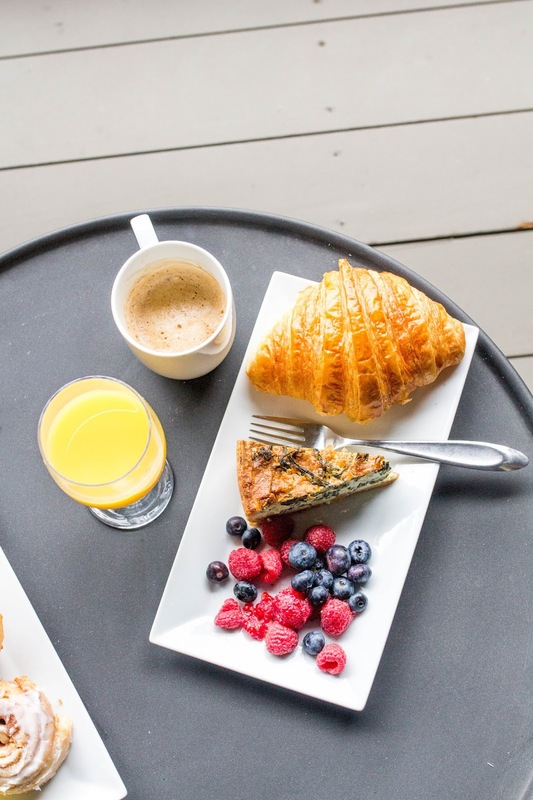 The offerings in the morning were enough to keep you full until lunch and the real question was what Bouchon pastry would make your plate each morning. Sometimes they all did - when in Napa right? Once we got settled into our hotel and attended the lobby happy hour we went on our way to Redd Wood. Redd Wood is known for their wood-burning oven baked pizza's so we decided to go with that. We ordered the Prosciutto Crudo which consisted of fontina, arugula, grana padano and black pepper. So tasty but even more delicious was the Smoked Ham pizza topped with crispy brussels sprouts. Oh my mouth is watering just thinking about it! If you're in the area it's a must, it's also a must you bring me back a slice. Friday morning we had spa appointments set up at The Meritage Resort and Spa and it was a perfect retreat from the relentless rain. 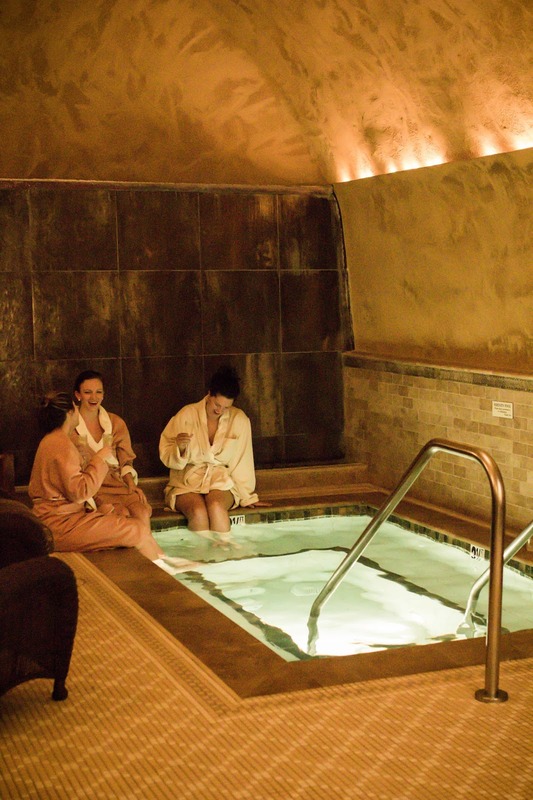 Upon checking in you are led to the Spa Terra which is inside a cave. I received a body treatment called the Mare & Terra. Jackie, my masseuse was wonderful. She began by mixing sea salt with infused oils to buff my skin. After that is rinsed off you are then rubbed down with a clay type mixture. Following the clay application you are wrapped up in sheets to let the treatment soak in and Jackie gave me an incredible scalp massage during this time. Once the clay has set you shower and then your masseuse applies a body butter. I typically get massages so it was neat to switch it up and try something new. Since all of our treatments were at the same time we got to hang out afterwards and enjoy the spa for a little bit + a bottle of bubbles. All while avoiding the rain so that's a win even if Steph was getting a Twilight vibe. Afterwards we had appointments at two wineries and it was absolutely pouring. So we skipped the cute hairstyles, slapped on our rain boots and headed first for Hall Wines. If there was any winery to begin our jaunt through Napa - Hall was it. The rain decided to hold off while Colin (and his awesome British accent) led us on our tour. 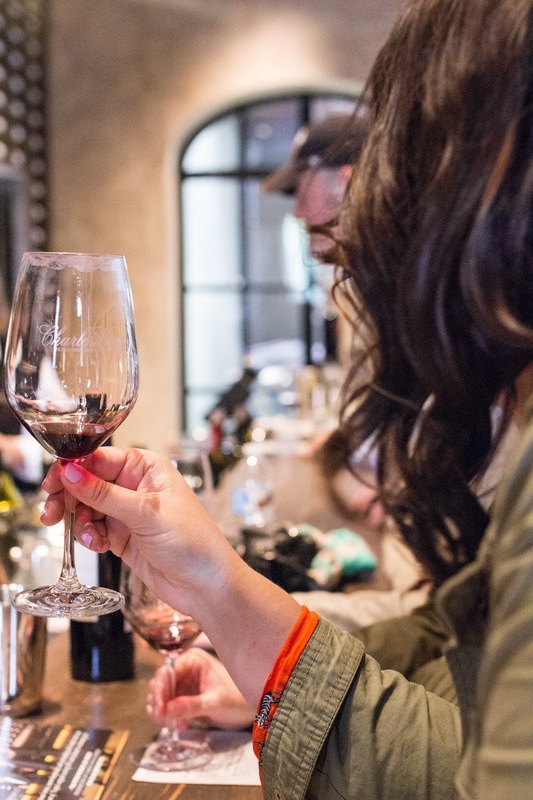 If you have the time tours are always a cool way to learn about the wine and families behind them. Just make sure to set it up in advance. 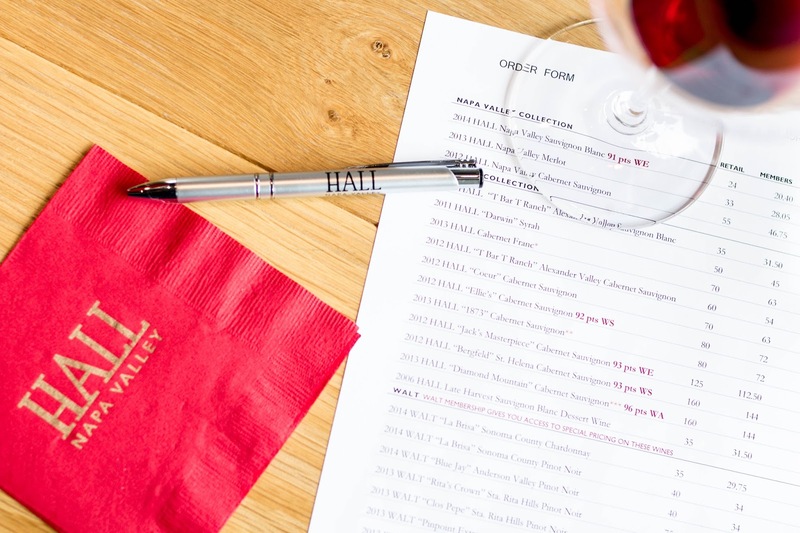 We tasted a young Kathryn Hall Cab straight from the barrel that won't go into production until 2017 and you bet I already have my calendar set! In addition we learned how Hall really marries modern art into everything they do and it was evident throughout the whole property. 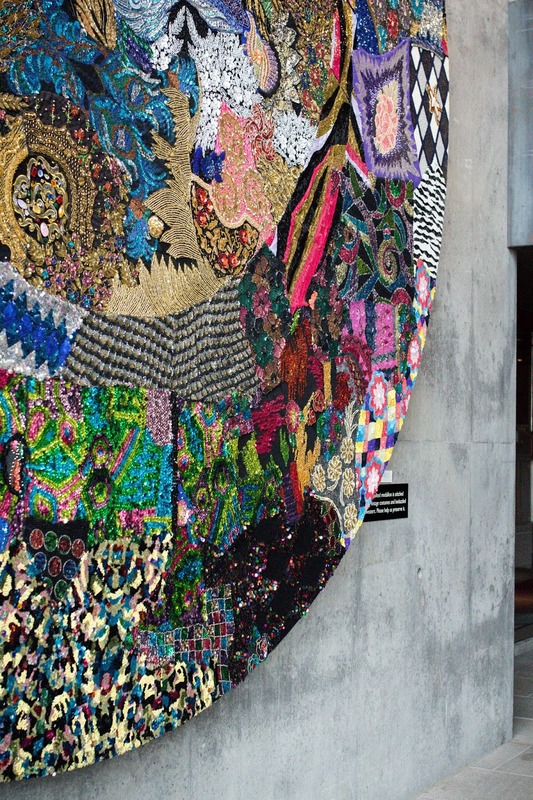 You can see a showcase of their pieces and learn about the artists here. After Hall Wines, we found ourselves yet again in an Uber driving up on the mountain to Chappellet. 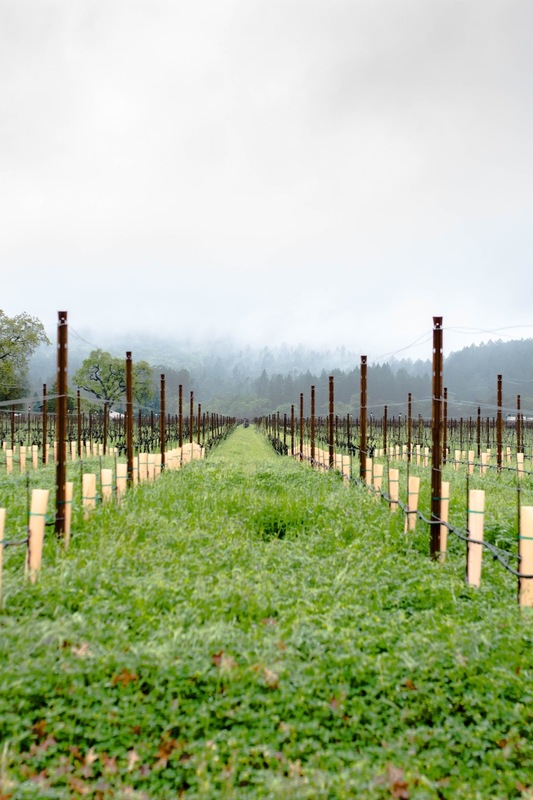 Chappellet is a tasting by appointment only winery. Easy to see why since it's located up on Pritchard Hill which means it's not a winery you can simply stumble upon. We took the signature tour of the property with Connor and tasted some delicious wines like their 2012 Zinfandel. Yum! Connor was incredibly well versed in the history at Chappellet and telling us what to look for in each wine. He truly made the experience and I highly recommend requesting him if you tour. 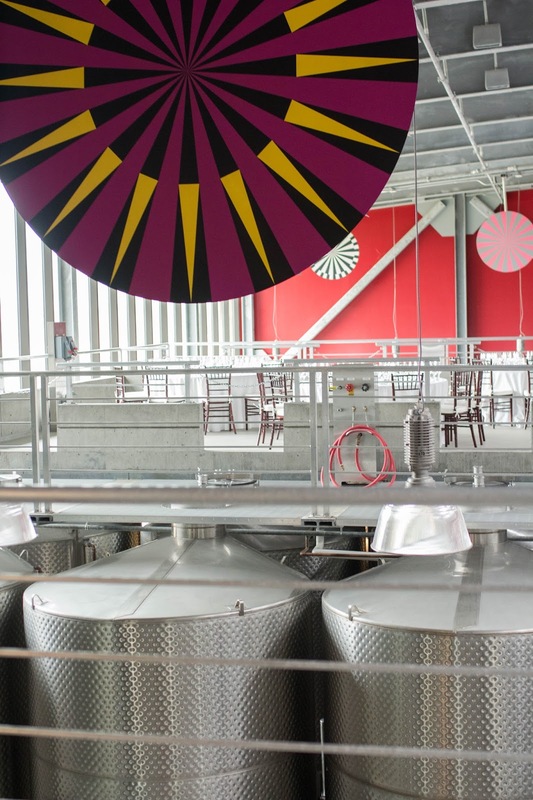 The architecture of the winery itself is worthy of the visit alone and learning about their sustainable practices (especially in California's awful drought) has me respecting and revering their philosophies. On our last day in Napa which some of us were better rested than others we made it to Charles Krug Winery, hailing as the oldest winery in Napa (due to a wine sale by Charles Krug in 1861) and what a gorgeous atmosphere it is. Unlike Chappellet this is a public winery and you can walk in and do tastings. However like I said before, tours are always a fun way to learn more about the history and Charles Krug is deserving of it. Jessica was pouring for the four of us and did a great job teaching us about the history of Charles Krug and his relationship to the Mondavi family who owns it. Just recently the patriarch of Charles Krug, Peter Mondavi passed away at the age of 101 - so I think he kept a few secrets in those wine bottles of his. One being longevity! 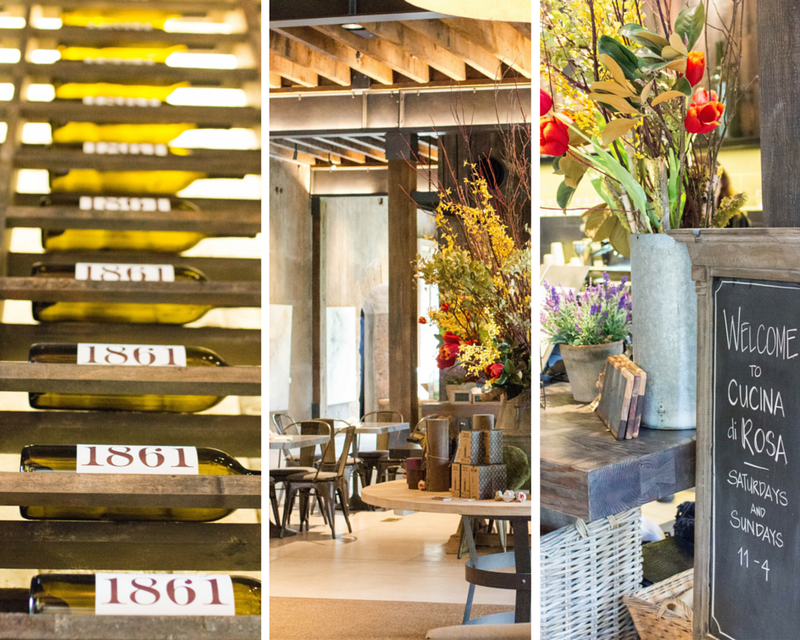 If Restoration Hardware is your thing then this is one place you won't want to skip. 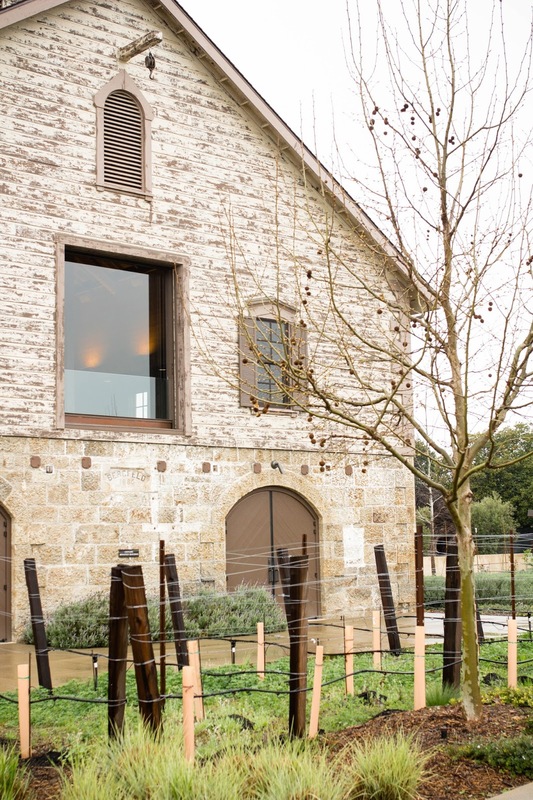 Awarded the 2015 Architecture and Landscape award for the Napa Valley/San Francisco region for good reason. Every detail is cozy and inviting yet masculine and purposeful. From the large pendant light - that is half a buoy from the Red Sea - to the galvanized metal everywhere I can see why seating is plentiful. They know once you're in that you won't want to go anywhere else! After leaving Charles Krug and regaining some of our strength back we had to take the girls to Gott's. What a horrible tour guide we would have been to exclude it! I went with my standard ahi poke tacos that never disappoint but we made sure the girls got an array of foods to choose from. Any sign of a hangover got the heave ho after that! 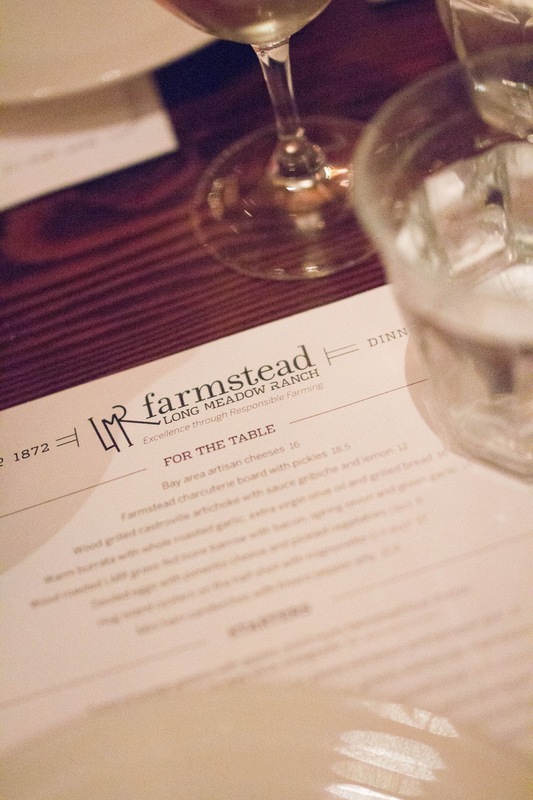 Apologies in advance for this being such a long recap but I assure you I saved the best for last and that is Farmstead. Now to be fair I have been here before so I knew that this was one gem all the girls would enjoy. Walking in you feel like Chip & Joanna Gaines just left and in their wake you are met with edison light bulbs and servers clad in plaid shirts. Kat greeted us with a smile - and wine - so we instantly loved her. The menu has you wanting to order everything, to which we sort of did and every single bite was better than the one before. 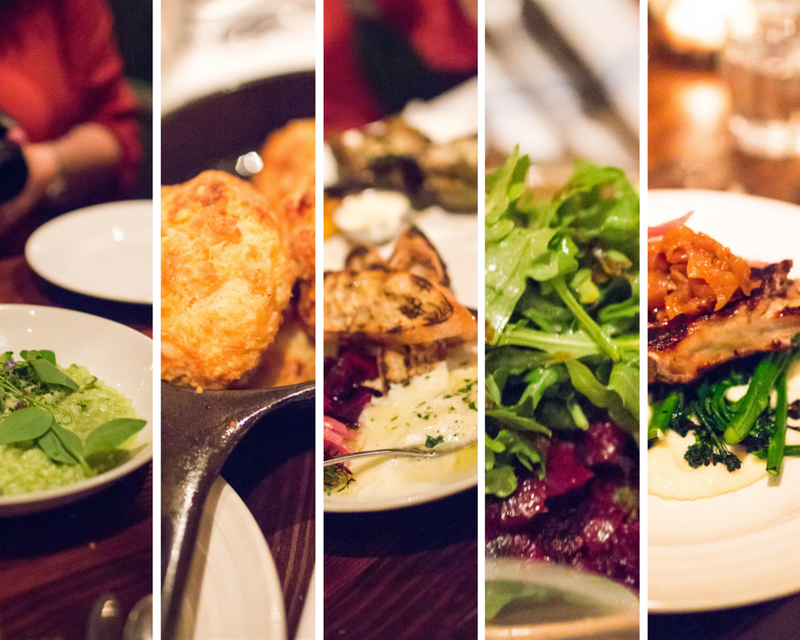 With farm to table pairings in mind everything was absolutely delicious. 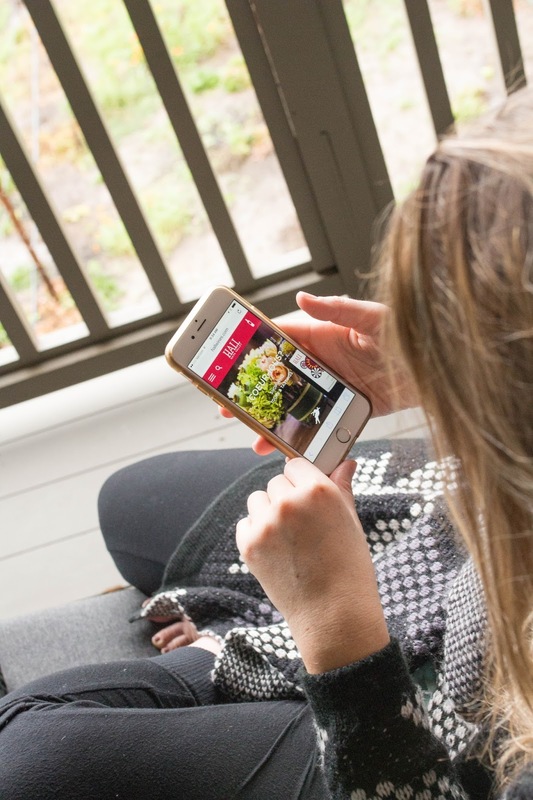 You can check out their entire menu here and now that I see they also do a Sunday brunch a second review is in order! It was incredible, the ambiance is fantastic and you must book a reservation next time you find yourselves among the Napa Valley vineyards. 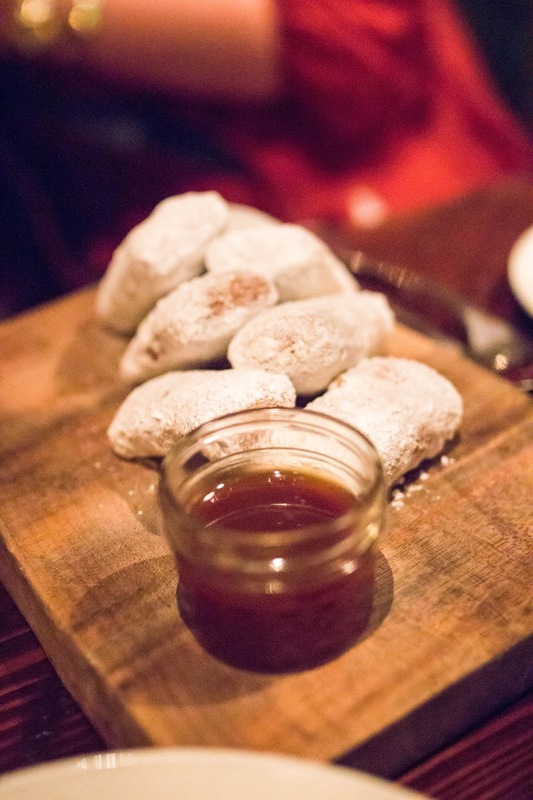 Burrata and beignets are a definite and everything else on the menu is an absolute. Our trip ends here but I know our friendships have only just begun! 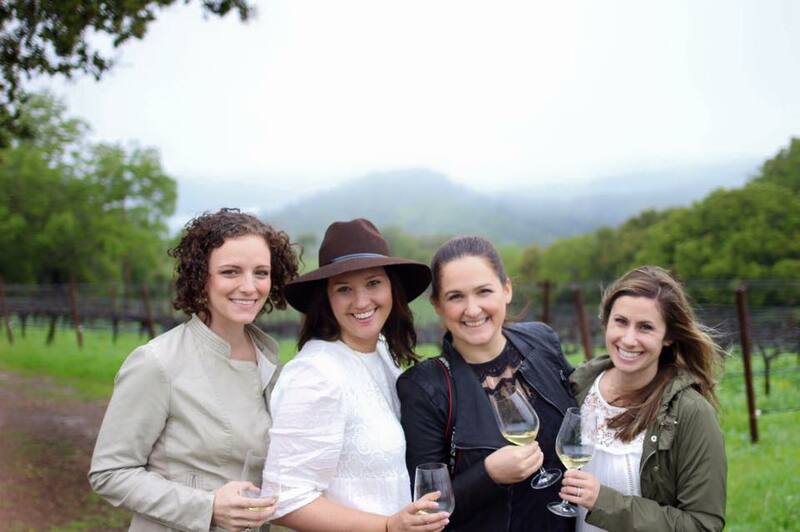 Check out Cait, Steph & Natasha in the upcoming days to see their takes on our whirlwind, rain soaked tour of Napa. A special thank you to SENZA, Spa Terra at Meritage Resort & Spa, Hall Wines, Chapellette & Charles Krug Winery for providing discounts or complimentary services to us on our trip. All opinions expressed here are 100% and always will be my own. Gah, what an incredible trip! Super super jealous! And HALL seriously is one of my favorites! 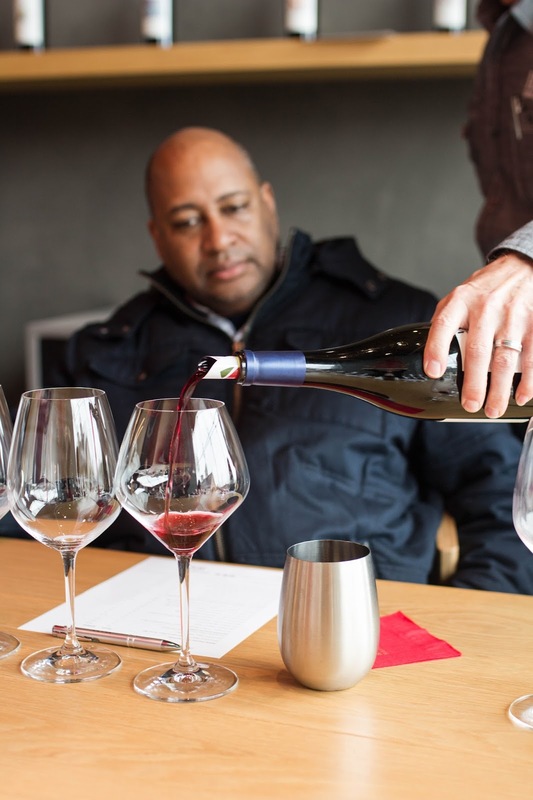 Next time set up a tasting at Keenan (no relation), you will not be disappointed! We loved Hall! It was such a neat tour too! I'll add Keenan to my ever expanding list! It's a bucket list item for certain! This trip looks so amazing! I've always wanted to go to Napa! Your photos are beautiful! So. Much. Fun! Loved finally getting together in person, such a perfect trip and gorgeous photos! A re-do at Farmstead is in order...maybe for brunch next time?! ;) Your recap brought me right back to Napa...had theeeee best time! Mama's Gone Wine is no joke! Love you! Looks like you ladies had a blast! Gorgeous photos! Too much fun! Now I need to meet you! Next on my list! What a perfect weekend! Farmstead is the BEST, seriously so delicious. 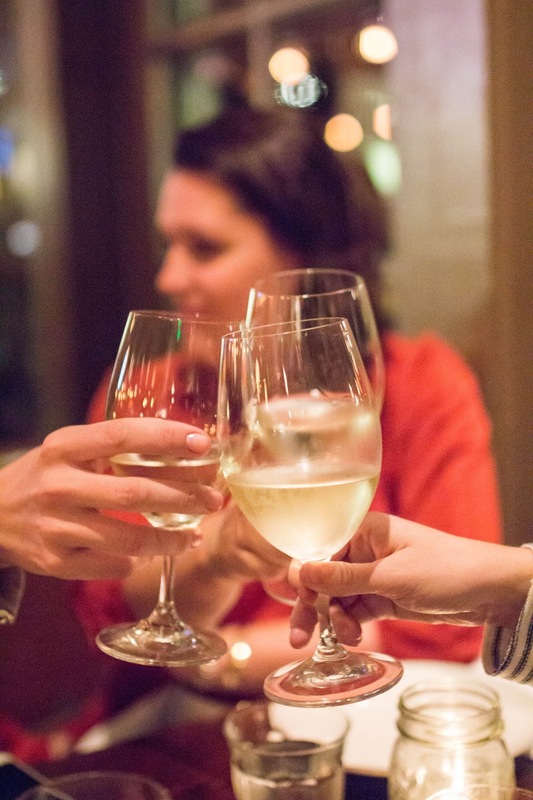 We've been itching to head up for a weekend of wine tasting soon. For how close we live we don't go often enough. The best right?! You have to stay at Senza it's seriously awesome and would be so romantic on a weekend getaway. What a fun weekend! You girls look like you had the best time! It was too much fun and I sure was feeling it two days later! Yes!! You must go you will love it! Ok I wanted to go to Napa after watching all the snaps but after seeing the photos I REALLY want to go to Napa! So fun!! Ha! The snaps were pretty funny come on down mama! Your trip looks and sounds AH-MAZING. I'm so jealous!!!! 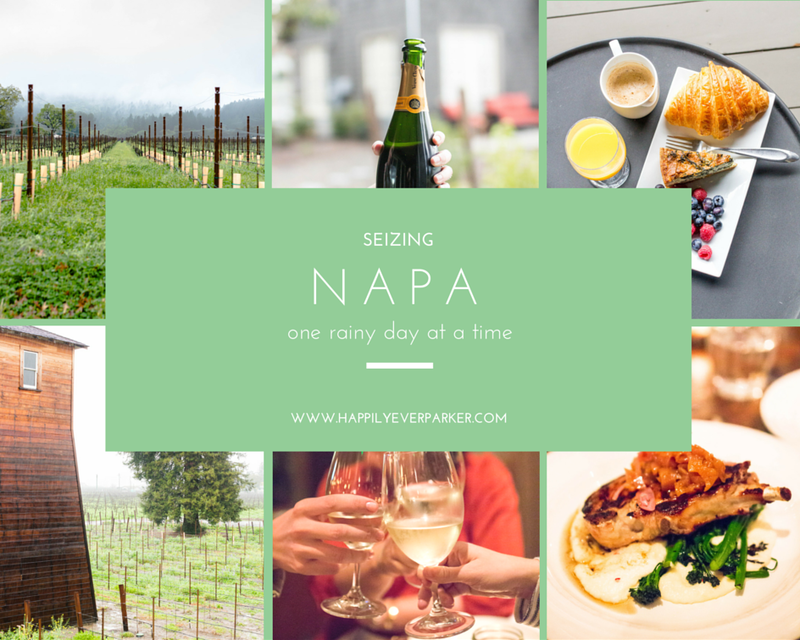 I haven't been to Napa in ages, but I basically want to re-create this whole trip! I am Laura and I support this idea! SUCH an amazing trip! I'm so glad that I got to follow along just a little bit! You got it mama! Come on down! Looks like you gals had the best trip! And you KNOW the photos are going to be good when 4 bloggers get together! I've never been to a winery before despite there being tons not far from me in Ontario. I just don't know how one does it! Do I call ahead? do I just walk in? Does it cost anything? #overwhelmed! I recommend calling ahead to see if you can schedule a tour. 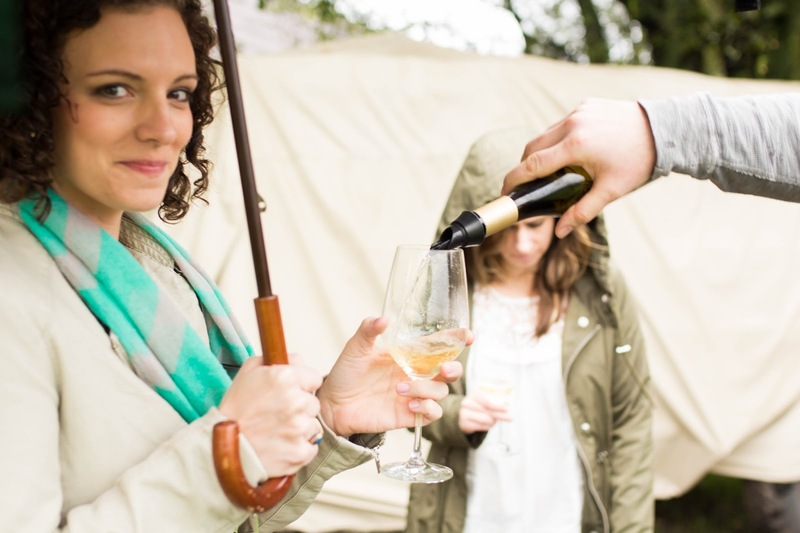 They are so much fun and a great way to discover new wines to love! Chappellet s thrilled that we were part of your adventure!! 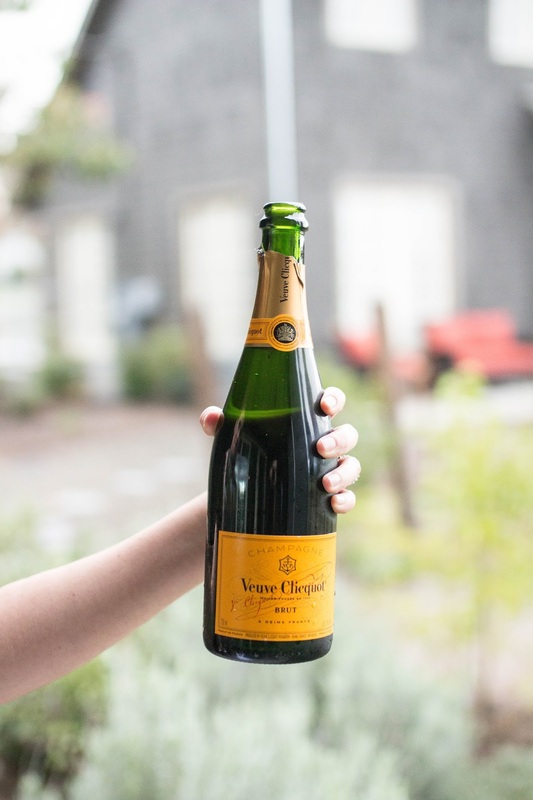 You and your friends are welcome any time... Please come back on a day that is sunny and clear!! All the best!! Alexa it was such a treat!! Thank you for having us! Looks like a blast! So glad you guys got to get away for the weekend! I'm coming back, like tomorrow. But I demand a stop at Don Natasha's be top of the to do list ;-) such a fun trip, is it time to start planning the next one??? Love you! You don't go to Napa without Don Natasha's who PS looks like Ken from RHBH even if he has no idea what you are saying. Love you! Yes!! You will love it! Also Bottega is an amazing restaurant! Ummm...this is amazing! I don't even know where to begin! Gorgeous photos, lovely friends, delish food and wine! How do I possibly get invited to tag along on the next one?!!! Beautiful photos! Looks like an amazing time!